The property is located in the Peak District National Park in the Village of Hayfield. The property is accessed via a private lane which connects to Kinder Road. Hayfield Village centre is approximately 1 mile/1.5km to the South West of the property. The property sits at the bottom of the Kinder Plateau and has extensive views of the stunning peak, which is the highest point in Derbyshire. 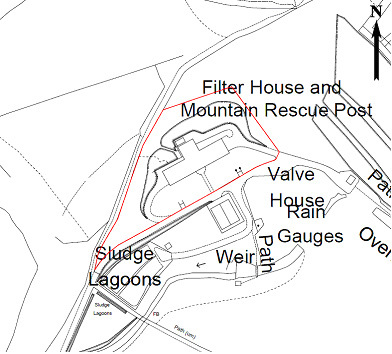 The property is a former water treatment works building, which has been decommissioned. All plant has been stripped from the property and the floorspace extends to approximately 10,000 sq. ft. (929 sq. m.). Built in 1912, the main building was formerly a filterhouse. 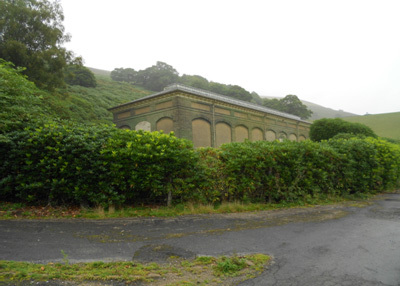 Within the embankments at the front of the property are two substantial water tanks which have also been decommissioned and are empty. The land or buildings do not have the benefit of a planning permission for any alternative use. The property is located within the Peak District National Park and interested parties should make their own enquiries. Tel. 01629-816200. The property is served via a private lane that connects to Kinder Road which is an adopted highway. The property does not have the benefit of any services. Interested parties should make their own enquiries as to the availability of services. The property is offered on a freehold basis. The Client is offering the property on a subject to planning basis. The deadline for the submission of offers is 12 noon on Wednesday, 9th September 2015. Offers should be submitted to Ian Thomlinson at Land4homes, offers via email are acceptable. 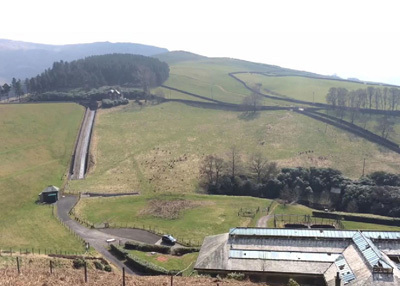 Interested parties should provide a proposed scheme (1:500 sketch plan and accompanying elevation details) together with a statement that they have engaged with the Planning department at Peak District National Park and an indication of how the proposed purchase is to be funded. Prospective purchasers should be aware that the vendors will be enforcing covenants to ensure that the future development is in accordance with the proposed plans and that any future use does not compromise the operation of their existing facilities. The property details have been produced in good faith, are set out as a general guide and do not constitute the whole or part of any contract. All liability in negligence or otherwise, arising from the use of the details is hereby excluded.